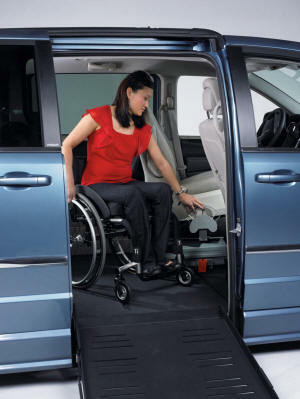 We are a Houston owned and operated business proud to serve the needs of individuals with special driving needs. We are TDLR licensed and our occupational therapists are certified driving rehabilitation specialists with many years experience. Prescriptions for vehicle modifications expressing the client's preferred brands and detailing justification will be forwarded to the client's physician for signature. Prescriptions are generally not written until the DPS test for vehicle/vans has been successfully passed. All program participants must possess a valid driver's license or learner's permit and meet the minimum standards for motor vehicle operation as outlined by the Texas Medical Advisory Board Guideline for determining driver limitation. We are licensed as a Texas Department of Licensing & Regulation Driving School and by the Texas Board of Occupational Therapy Examiners as a Registered Occupational Therapy Facility. We are a listed service provider for the State of Louisiana, Oklahoma, Kansas, and Arkansas. This is a certification that is issued to experienced driver rehabilitation specialists that have passed a comprehensive examination on medical knowledge and driver/traffic safety. Cassandra and Chad are Certified Driver Rehabilitation Specialists. Texas currently has 8 CDRS' statewide. This certification insures that the instructor/therapist has demonstrated the basic knowledge on a variety of medical conditions and their implication on the driving task. The licensing authority for driving schools in the state of Texas. This website provides information on schools, instructors, and students.